The New York Times bestselling memoir from the legendary Gucci Mane spares no detail in this "cautionary tale that ends in triumph" (GQ). For the first time Gucci Mane tells his extraordinary story in his own words. It is "as wild, unpredictable, and fascinating as the man himself" (Complex). 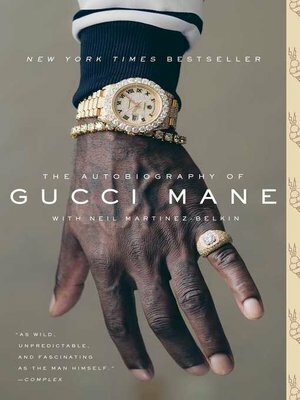 A critically acclaimed classic, The Autobiography of Gucci Mane "provides incredible insight into one of the most influential rappers of the last decade, detailing a volatile and fascinating life...By the end, every reader will have a greater understanding of Gucci Mane, the man and the musician" (Pitchfork).